No instructions on how to assemble the cart. Heat light out of socket. 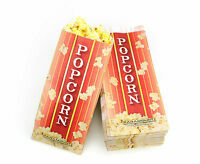 very fast delivery on the popcorn makers... good job! 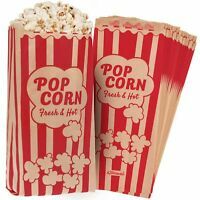 The popper works great (my grandkids love it) and it looks really good in our home theater. Only complaint: the assembly instructions were very poor. I had to print out a picture of the assembled popper in order to put the stand together. I wanted a vintage looking machine to go in my small theater room and this one was perfect. I like the “cart” style and the old timey paint work on it. Easy to assemble and works just fine. Super easy to clean and operate! 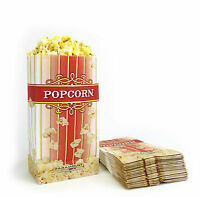 Smells the whole house with fresh popped popcorn, love it! 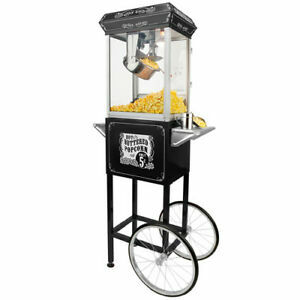 Does a outstanding job of making Theater popcorn , the machine I have is actually is a 6 oz . I would highly recommend this machine.